Because sometimes nail polish can speak louder than words. The products in this post were updated in March 2018. 1. A starter kit with everything you need for a subtle, perfect manicure, including a bottle of naked base, pink perfector, white tip perfector, and satin seal topcoat. 2. An all-natural nail polish remover that isn't made with harsh chemicals. 3. A nail polish holder, because it's already hard enough trying to paint your nails with your other hand without having to worry about the bottle of nail polish spilling. 4. A set of nail stencils so you're only painting your nails and not the side of your hand, your table, or maybe even your clothes. Get the 26-piece set from Amazon for $6.39. 5. A bottle of Orly Breathable Nail Polish for beautiful shades that are made with argan oil and vitamins to nourish and hydrate. 6. A set of acrylic nail removers to get off your gel manicure in an easy and safe way. 7. A cuticle massage cream so you can get an intensive moisturizing session and soothe any hangnails or torn cuticles. Get it from Amazon for $4.24. 8. A nail dryer, because why shouldn't you have an adorable monkey available to dry your nails whenever you want? Get it from Amazon for $3.35. 9. A set of nail polish remover pads that are acetone free, totally convenient for when you need to get that polish off in a pinch, and smell fantastic. Get 6 boxes of 32 pads from Amazon for $7.84. 10. An instant cuticle remover capable of dissolving dry cuticles in 15 seconds. 11. A drying oil you can just drop on your wet nails to get dry polish in about a minute. 12. A long-lasting polish and top coat that'll keep your nails looking like you just got a manicure for over a week. 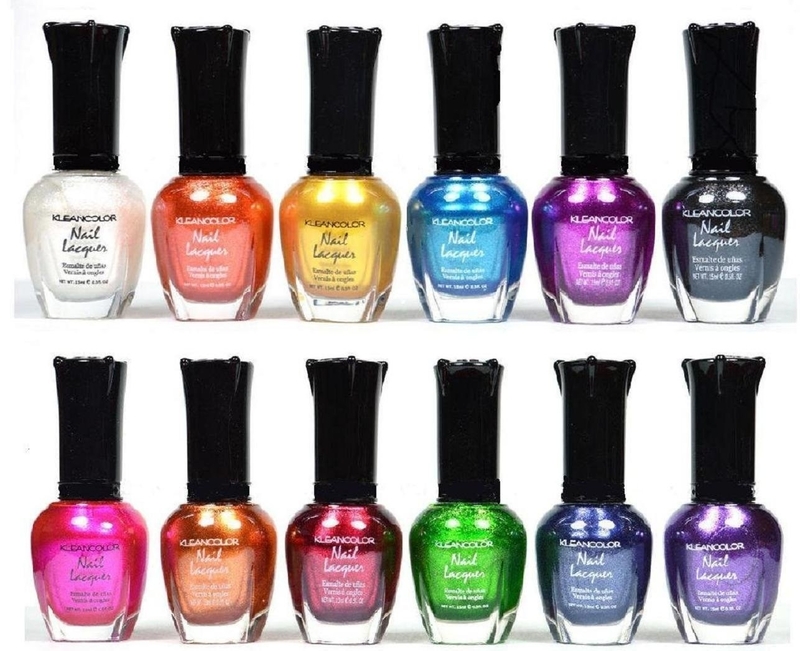 Get them from Amazon: top coat for $11.49 (available in 10 colors) and nail polish for $11.49 (available in 35 colors). 13. A nail strengthener for help bringing your brittle nails back to life. Get it from Amazon for $11.94 (available in 10 colors). 14. A box of lint free cotton pads so you're not scraping the remnants of any leftover cotton balls from your nails. 15. A glass nail file, which is gentler and more hygienic than that file you've been using for years. 16. A soaking dish, because the best part of getting a manicure is letting your fingers soak in the warm, soapy water. Get it from Amazon for $2.21. 17. 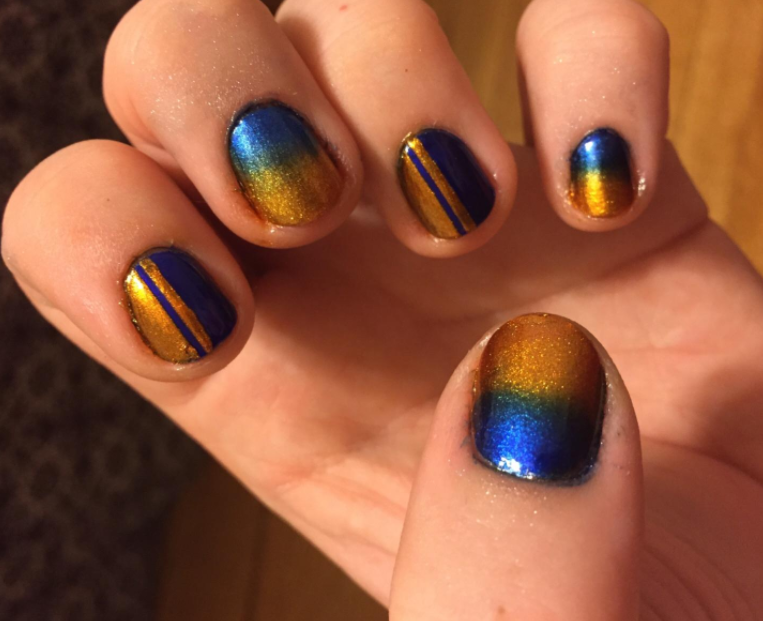 A color-changing nail polish that is just so freakin' cool! 18. A quick-drying top coat you've seen your favorite manicure salon use. You know it works wonders. 19. A hand scrub to gently remove all that dead skin and look like a f#@%ing hand model. 20. An instant smudge fix for those moments when you thought you were good to start rummaging through your purse but, of course, were not and you messed up your manicure. 21. A vegan nail polish, because maybe you don't think any bunnies should be involved in the making of your manicure. 22. A nail buffer to get your nails totally smooth. Promising Review: "I reallyyyyy love these nail files. They last a lot longer than many I have used in the past. Do not waste your money on nail files elsewhere because you will not find a good deal like this !! Love the colors!" —Evelyn M.
Get a five-pack from Amazon for $1.93. 23. A refillable corrector pen so you can get every last crevice and have a totally perfect manicure. Get it from Macy's for $7.95. 24. A manicure tool kit that includes all the tools to get your nail situation under total control. 25. A polish rejuvenator to renew the consistency of your manicure and keep your polish's vibrancy. 26. A set of metallic polishes so you always have options when deciding what color to paint your nails. Get the 12 piece set from Amazon for $11.96+ (available in two sets). 27. A gel manicure starter kit that includes manicure accessories, gel polishes, a nail lamp, and a very cute carrying case — basically everything you need for a perfect at-home gel manicure. 28. A hand and cuticle cream to keep your skin — and cuticles — feeling soft and smooth. Get it from Walmart for $14. 29. And a manicure station so you always have all your tools organized in one convenient place where you can enjoy a little pampering time. Now you don't have an excuse for those out-of-control cuticles.